Dementia Australia welcomed the declaration and commitment by Opposition Leader, the Hon Bill Shorten MP, to making Australia a world leader in the way our country cares for people living with dementia, and for Australia to lead the world in finding a cure. In a speech at a conference in Sydney on 21 November, Mr Shorten said dementia was a challenge that “demands the full reach of our resources”. 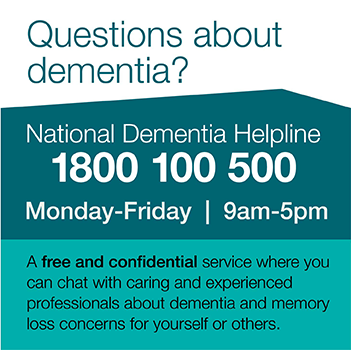 Dementia Australia CEO Maree McCabe said Mr Shorten has committed to elevating dementia to the health policy priority that is needed to best support the 413,000 people currently living with dementia, and to plan for the future as this figure is projected to grow to more than one million Australians by 2056. “Dementia is already a National Health Priority Area but not priority enough; the time to act for dementia is now,” Ms McCabe said. In the speech Mr Shorten challenged Australians to ask themselves “will we leave this place better than we found it?”. “In response, Dementia Australia is committed to making ‘this place’ a better place for people of all ages, living with all forms of dementia, their families and carers,” Ms McCabe said. “The people living with dementia we are caring for today have made their contribution to Australia being a better place. They have worked, paid taxes, brought up families, served in positions all over Australia, created, invented and already made a difference in so many ways. Dementia Australia welcomed the focus on developing world-leading care, training, research, services and programs as an imperative. “Raising awareness and increasing the understanding in the community about dementia is vital,” Ms McCabe said.